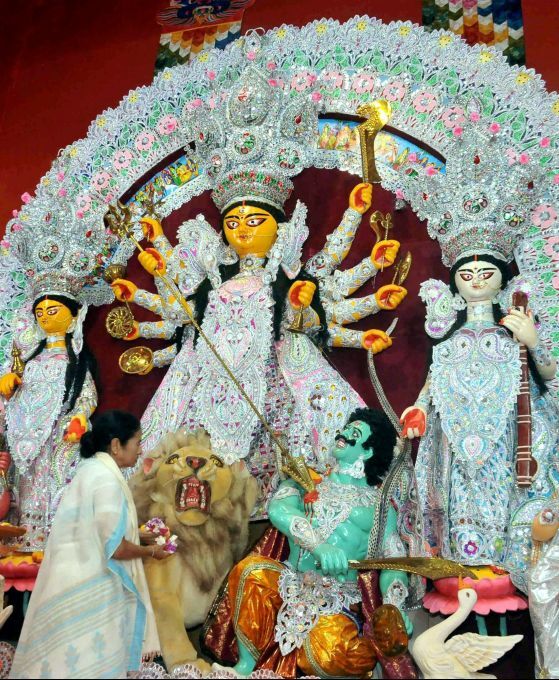 Kolkata: West Bengal Chief Minister Mamata Banerjee offering prayer during the inauguration of Goddess Durga Puja ahead of Durga Puja festival, in Kolkata, Wednesday, Oct 10, 2018. 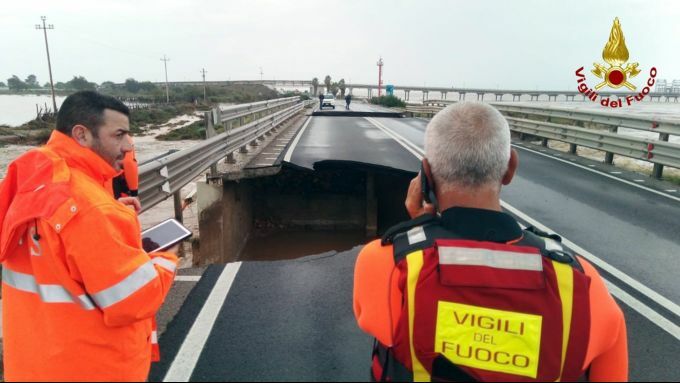 Cagliari: Firefighters stand next to a damaged bridge on the Santa Lucia stream along the road from Cagliari to Capoterra village, on the Sardinia island, Italy, Wednesday, Oct. 10, 2018. Torrential rains have been battering the Mediterranean island of Sardinia, prized by the jet-set for its white sand beaches and crystal-clear seas. 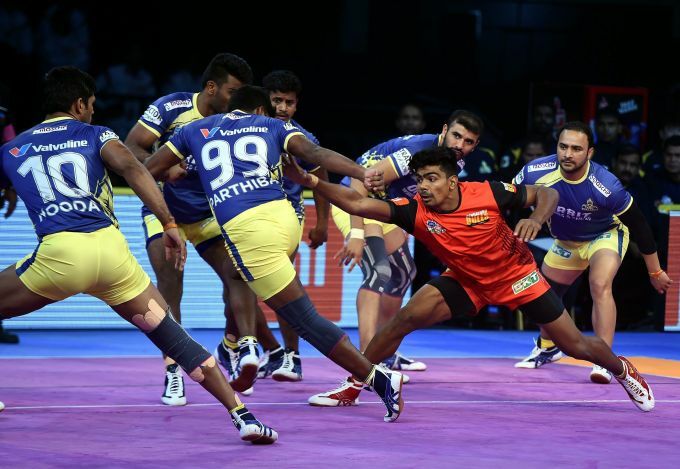 Chennai: Tamil Thalaivas ( Yellow) players in action against Bengaluru bulls during their Pro Kabaddi league season 6 match, at Jawaharlal Nehru Indoor Stadium, in Chennai, on Wednesday, Oct. 10, 2018. 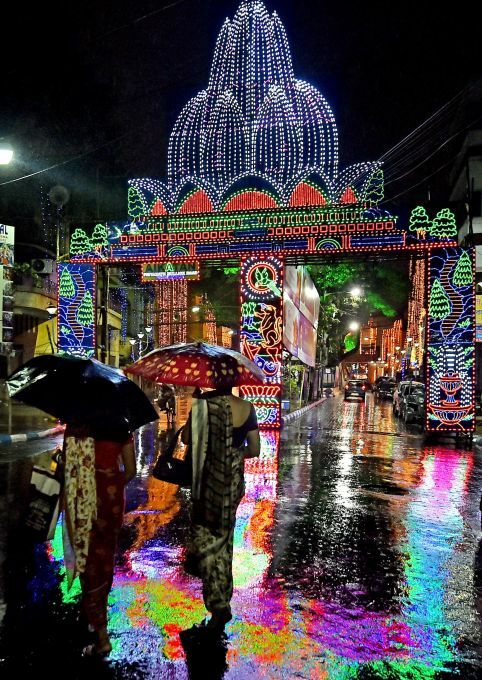 Kolkata: Pedestrians cross the city street as they hold Umbrella to protect from rain as it started due to depression over the Bay of Bengal, as city street decorated with lights for upcoming Durga Puja festival in Kolkata on Wednesday evening, October10,2018. Cyclone 'Titli' intensified into a severe cyclonic storm Wednesday and is moving towards the Odhisa-Andhra Pradesh coast, triggering rainfall in several parts of Odhisa. 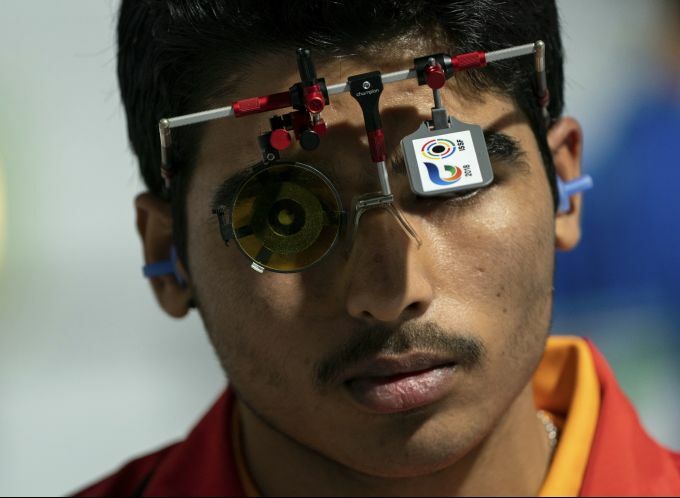 Buenos Aires: Chaudhary Saurabh from India, looks on during the shooting men's 10m air pistol final at the shooting range at Tecnopolis Park during the Youth Olympic Games in Buenos Aires, Argentina, Wednesday, Oct. 10, 2018. 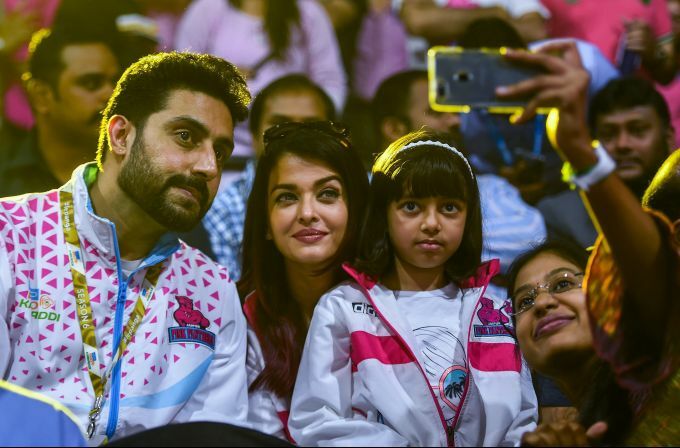 Chennai: A fan takes a selfie with Bollywppd actors and owner of Jaipur Pink Panthers Abhishek Bachchan and Aishwarya Rai Bachchan during the Pro Kabaddi league season 6 match between Jaipur Pink and Mumbai, at Jawaharlal Nehru Indoor Stadium, in Chennai, Wednesday, Oct 10, 2018.